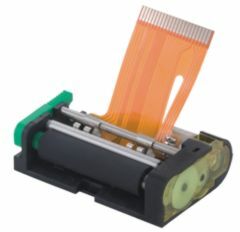 APS MP105 90105001 mini thermal printers. - High reliability in an extremely small size - Prints high quality characters at speed up to 80 mm/s - Foot print compatible with shuttle type. Operating temperature (C): 0 to 50 non cond. Operating humidity (%): 20 to 85 non cond. Copyright © 2015 BestLiquidations.com All Rights Reserved.